This beautiful beach cottage boasts comfortable furniture, a pool, and a very short walk to the ocean! You can’t help but have a happy OBX vacation in this fun-styled rental home. 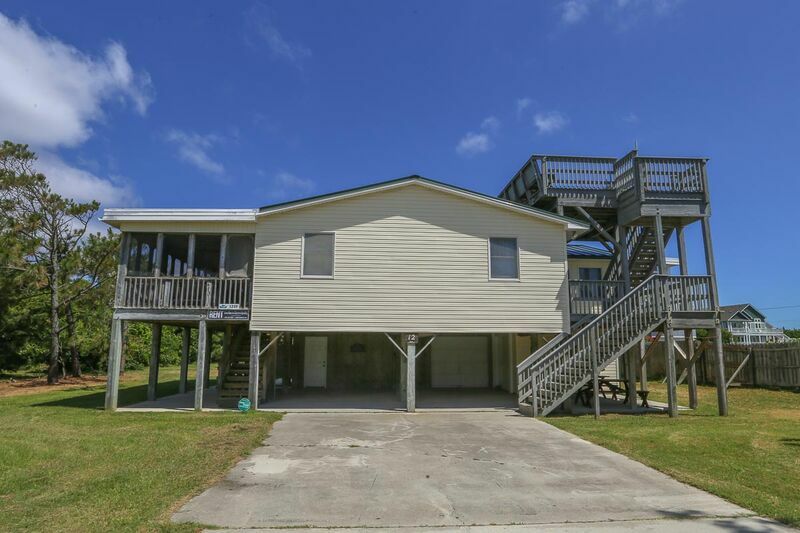 4 bedrooms (with Queen, 2 shared baths with tub and shower). Kitchen with breakfast bar; dining area; living area with large flat screen TV; sunroom with TV. We've been coming to the Outer Banks for years. This is the best house yet. The pool is great. Short walk to the beach. The house is fabulous, clean and decorated.